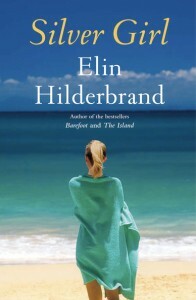 Today at 3PM on BookTrib, Elin Hilderbrand, author of The Castaways and other fun-in-the-sun books, will be discussing her latest release Silver Girl. If you’d like to sign up for BookTrib, click the “First Visit? Sign up!” button on the top right. Party go-ers can also sign in to the party with a Chat Roll account, a Facebook account, or as a guest. Fifteen lucky party-goers will win an exclusive Silver Girl tote bag courtesy of The Elegant Setting along with an autographed copy of the book. Come join us.